Be sure to visit the CLEARANCE section of our online store. There, we have a variety of notions available at 35 to 50% off regular retail prices. You will find ruler work templates, OLFA rotary cutters, markers, Clover Mini Irons, Pelican Scissors, and several others. The items are quite limited, so the early shoppers...you know the rest!! Once sold, these items will no longer be stocked by us. To start bargain shopping, click here!! 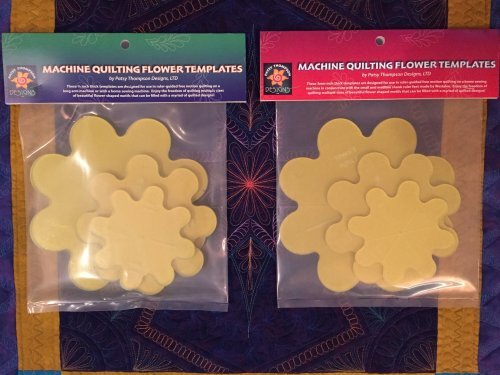 Create these designs and more with the PTD Flower Template Sets, available in 1/4 inch thickness as well as in 3mm thicknesses. Click here to learn more about creating these lovely designs. 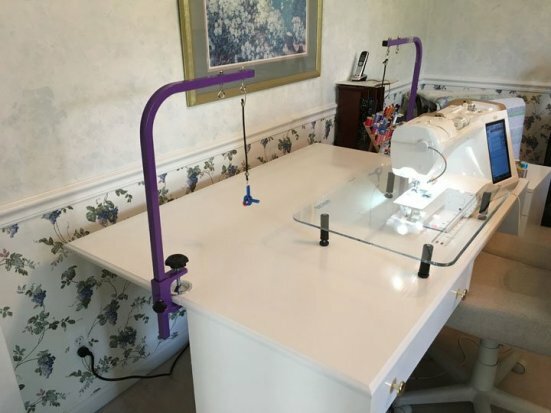 ...and you can find the quilt suspension system #1 in our store by clicking here. 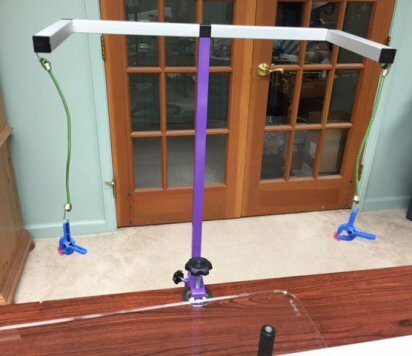 ...and you can find quilt suspension system #2 in our store by clicking here. 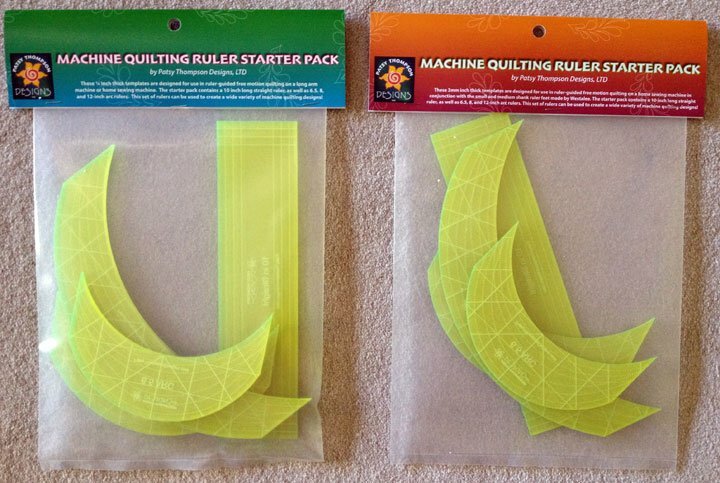 And if you're interested in ruler work, have you seen our new Ruler Work Starter Packs? These are the perfect way to begin your ruler work adventure because they will allow you to create a wide variety of simple and complex designs. They're available in both the traditional 1/4 in long arm ruler thickness as well as the 3mm thinner thickness for those working with the low or medium shank Westalee Ruler Feet. You can find these ruler starter packs in our online store by clicking here. Wondering what shipping will cost for your order? Simply put the item(s) in your cart, then click on Checkout. There you will enter your Country, State and Postal Code, and the shipping cost will show up beneath the Country box. You will not be asked for any billing information to learn the shipping cost. Typically, you will have a choice of First Class or Priority, depending on the weight of the order. Of note, your shipping charges reflect what the USPS charges to mail your package. We do not profit on these charges. If we find a less expensive alternative, such as Flat Rate, we will opt for that and refund you the difference. All shipping is through US Postal Service, and we ship both domestically and internationally to most countries. That includes home ground addresses, PO Boxes, APO addresses. We had looked into UPS and FedEx options, but those were not any cheaper, nor shipped to PO Boxes. Note that our checkout will appear a bit different than on the old site. After you choose your items and shipping option, you will be directed to the PayPal site automatically. There you can sign in with your PayPal account or choose to pay with a credit card. After successful payment, the screen will show an electronic receipt from PayPal and PTD. You will also get a confirmation sent by our store and PayPal to your email address of record. If all this occurs, you had a successful purchase; if not, please contact us.